Welcome to Foxes Love Lemons’ WEEK OF DIPS! 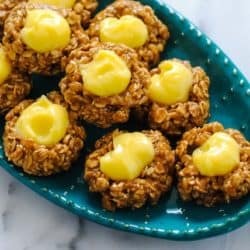 I’m bringing you all sorts of dippin’ goodness so you can find a recipe your party crowd will love for the big game! If you come to metro Detroit for the first time, what’s the one thing you have to eat or drink? Answers will vary, from coney hot dogs to Faygo Red Pop to apple cider from our area’s many cider mills. If you ask me, I would tell you that you must have a chicken shawarma pita sandwich. Shawarma is very similar to gyros in preparation – the meat is marinated and roasted on a spit, or grilled. It is then served as a platter, or stuffed in soft pita bread slathered with garlic sauce. Why is this uniquely Detroit? Thanks to our large Arab-American population, Mediterranean, Middle Eastern and Lebanese restaurants dot nearly every corner of our metro area. Many of them have names like Mr. Pita, Mr. Kabob and Kabob House. I never tire of chicken shawarma pitas, and this week, I’ve adapted those flavors into a party-perfect dip. 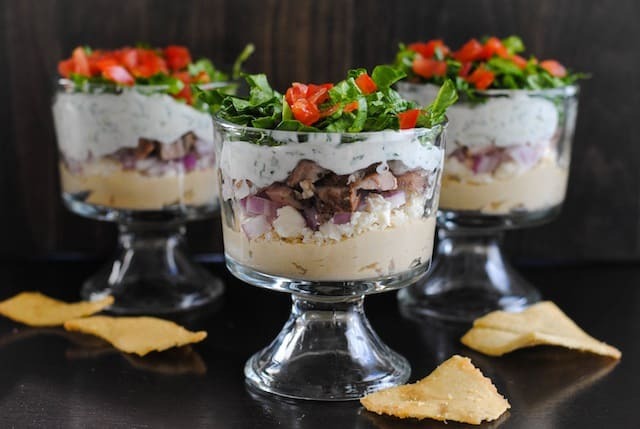 With seven layers of chicken shawarma meat, hummus, yogurt sauce, feta cheese, lettuce, onion and tomato, this Detroit-inspired dip will be a hit wherever you serve it! In large ziploc bag, combine chicken, garlic, lemon juice and Middle Eastern Seasoning. Seal and refrigerate at least 1 hour or up to overnight. Preheat oven to 400 degrees F. Remove chicken from marinade; discard marinade. Place chicken on rimmed baking pan and transfer to oven; cook 14 to 16 minutes or until internal temperature reaches 165 degrees F, turning once halfway through cooking. Let cool; then coarsely chop chicken. Meanwhile, make Yogurt Sauce: In small bowl, stir together all ingredients. 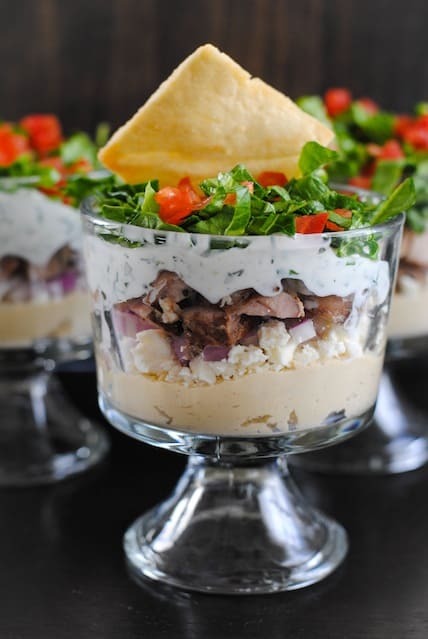 In trifle dish(es) or large bowl, layer hummus, cheese, onion, chicken shawarma, yogurt sauce, lettuce and tomato. 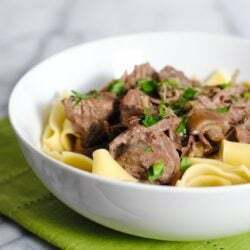 Refrigerate until ready to serve, up to 2 hours. Serve with pita chips. 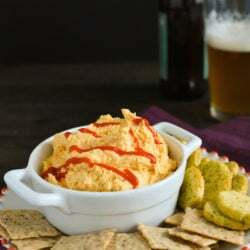 Everyone loved this dip so much when we ate it at a football tailgate – Michigan vs MSU, none the less. Great job capturing the essence of the shwarma wrap. 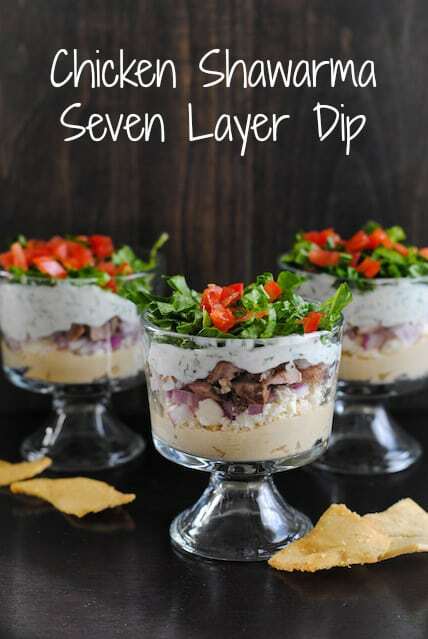 This is the BEST 7 layer dip ever. For real, a seriously genius idea and one I would have never thought of. I could eat this every day and not get tired of it. Thanks so much, Susan! I actually DID have to eat this for like four days straight, because I made wayyyy too much! This looks absolutely amazing! I am putting this on my must make list. This is the kind of thing I hide in the back of the fridge so no one else eats it. Oh, I LOVE Shish Express! I used to work right near there. I didn’t know they sold their marinade. Is it bottled, or do they just sell you some sort of container of fresh marinade? I tried a grocery-store bottled version of shawarma marinade one time, and it wasn’t all that great. Oh, thank you! Looks like it’s a refrigerated product? Does it last awhile? I’m stopping at Shish Express for some next time I’m over there! Yep, it stays refrigerated. Ours never lasts very long 🙂 but I think it’s good for at least a couple weeks. substitute for the chicken? What about tofu? Hmmm yeah, I think seared tofu (sprinkled with the Middle Eastern spice mix) would be a good substitute. Also, lentils might work, and would pair well with the Greek yogurt. Oh that looks so great! I’m making it! WANT! This sounds absolutely amazing. Ok, just give me a spoon. I’m gonna just shovel it into my mouth and call it a meal. I was introduced to shawarma along the ancient cobblestone streets of Jerusalem at Grandma’s Kitchen. It was one of the best meals I ate during my pilgrimage to the Holy Land … and I had some really great food! Fortunately, there is a wonderful Lebanese restaurant in Dallas (Afrah Restaurant) that prepares traditional shawarma that’s delicious and doesn’t require an 18-hour flight across the Atlantic! Thanks for sharing this recipe, it’s something I’ll definitely try at home to satisfy my shawarma cravings. Blessings! I’m so lucky to have a great Lebanese restaurant in my town, too (actually jus for carryout from there tonight), but I’m sure nothing could compare to the real thing in the Middle East. What a great experience for you! Oh, I love reading about people’s travel adventures, especially when there’s food involved. Coming over to check it out now!